When you are working on a budget, it can sometimes make sense to make the most out of any free marketing tools that are available, particularly if it is a case of taking a free option or having nothing. Free web hosting enables people without any funds to build up an online presence. So whether it is a small business starting out or a local sports club looking for new members, free web hosting can give you a good solution to help your marketing. Free web hosting is often discouraged due to the large number of restrictions that are involved. For example, you are limited in terms of storage and bandwidth, the site’s performance is unlikely to be great and you cannot use your own domain name. However, if you are looking for your first step into getting a website set up then free web hosting could be a great solution. Paid hosting solutions are obviously better but there are cheap options available which might be worth considering. The guys at Top 10 Website Hosting have listed and compared the best UK web hosts. There are several website providers that will offer free hosting packages. The most commonly used ones include WordPress, Wix, Joomla, Weebly amongst others. The reason they are able to offer free services is because they can generate money in different ways other than charging you. For example, they can charge people to display their ads on websites. This means that you may end up with other business’ ads getting displayed on your website and might not look as professional as you would like it to. Another way that they can make money is through people who realise that they need more features/storage etc. than the free version provides. So those people then pay to upgrade their website. It is important to assess whether a free hosting option will give you everything you need as it can get complicated trying to upgrade and could even end up costing you more in the long run. To get started, just head to the website of the provider you want to use. You can find reviews that may help you to make your mind up about which one is best for you. Take a look at demos to see how each one works and whether it looks easy to use. The free sitebuilder tools that Wix and several others offer makes it fairly easy to build a website even if you haven’t ever worked on a website before. You can choose from templates that do all of the hard work for you and then you can just customise it to reflect your business brand colours, logo etc. 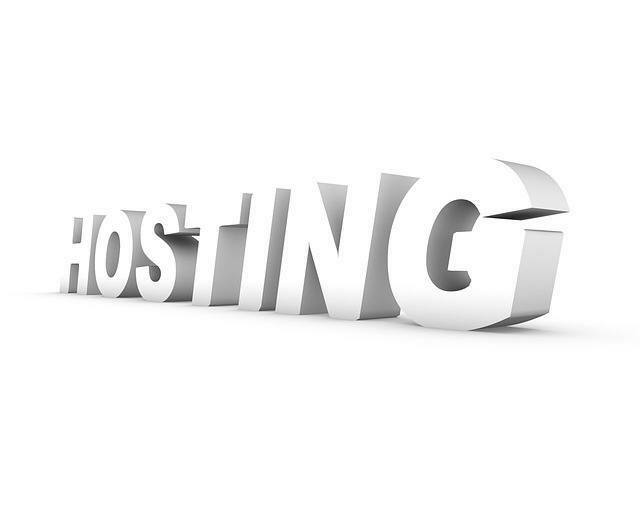 From the web host’s website, you will be able to set up an account and you will be provided with a domain name i.e. an online address for your business. Most free hosting providers will provide you with a domain that includes their business name unless you pay extra to use your own domain name. Having a short, easy to remember domain name is what you should be looking for, so that people can easily find your site. Your content is a very important aspect of your website and will play a big part in converting visitors into customers. Some hosts provide a library of images for you to use but if you need others, you may need to pay for a stock image if you can’t find a free one. Always be careful about using images that have a copyright license as you can only use images that you have permission to use. There are some sites like Pixabay that offer images that are free to use but always check the details of the license before you upload onto your site.